History | Audit firms in Iran | Audit company in Iran | Audit companies in Iran | Audit firm. Pursuant to the establishment of the Iranian Association of Certified Public Accountants (IACPA), Azmoon Pardaz Audit Firm was formed on 20 July 2002 under reference number 14187 of the companies registrar office in Tehran. By merging with two other audit firms in 2015, the biggest private audit firm in Iran was formed and it’s name was changed to Azmoon Pardaz Iran Mashhood (APIM). This firm is established to provide services to business entities. The various expertise of the partners, managers and advisors of this firm, including practicing members of IACPA, Judiciary Official Experts Organization, Association of Chartered Certified Accountants (ACCA), Charter Institute of Manager Accountants (CIMA), member of American Institute of Certified Public Accountants (AICPA), information technology, legal and other expertise in auditing, systems design, financial and tax advisory, accounting services, investment and project appraisal, business plan preparation together with their academic, educational and research backgrounds has created unique characteristics to provide the required services for variety of clients. This firm is authorized to carry out audit of the companies listed in the Security & Exchange Organization of Iran (SEO). By having twenty SEO approved partners this firm is not subject to SEO’s rule of four years audit cycle. This firm has achieved the grade ‘A’ status from the IACPA. This grade is the highest one which is granted by quality control assessment of IACPA. 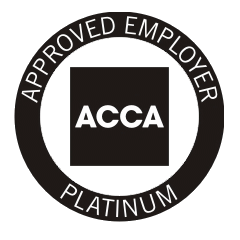 At last but not the least, it should be noted that ACCA, being the largest international accounting professional body, has awarded this firm the highest level of recognition for training, i.e. “Platinum” level. Achieving such a recognition from ACCA with almost 500,000 active members and students in 170 countries worldwide would help promote the professional status of auditing and accounting in Iran. Tags: audit firms in Iran , audit company in Iran , audit companies in Iran , audit firm.